SoPo Cottage: Can This House Be Saved? 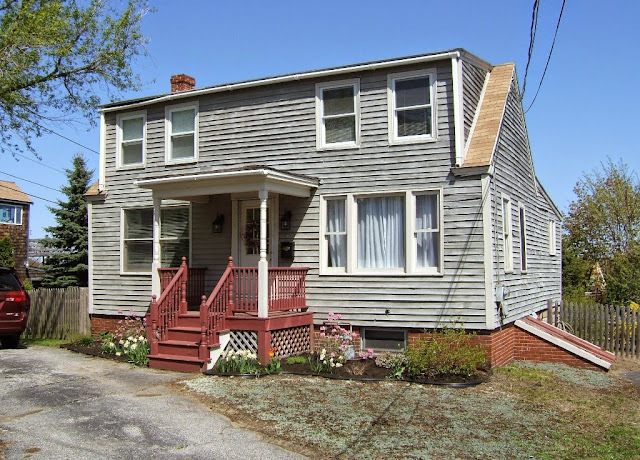 The story we heard about our house is that it was built in Cape Elizabeth (the town next door) in the late 1800's and was barged up the bay. How it was then rolled up to the top of the hill is a mystery, but that's the story. 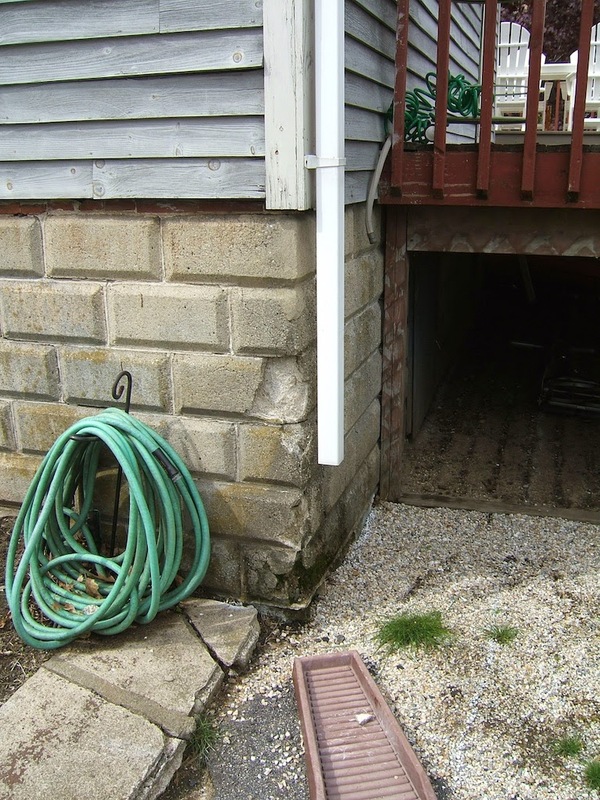 The beams in the basement were logs, that had been flattened on one side. The other framing members that were visible don't seem to be that old (you can tell by the type of saw marks on the wood), so we're still not quite sure about the true age of the house. It has a stone (aka rubble) foundation, with about 3 feet of brick added to the top of it. So with this interesting history, we were determined to keep the house and renovate it. 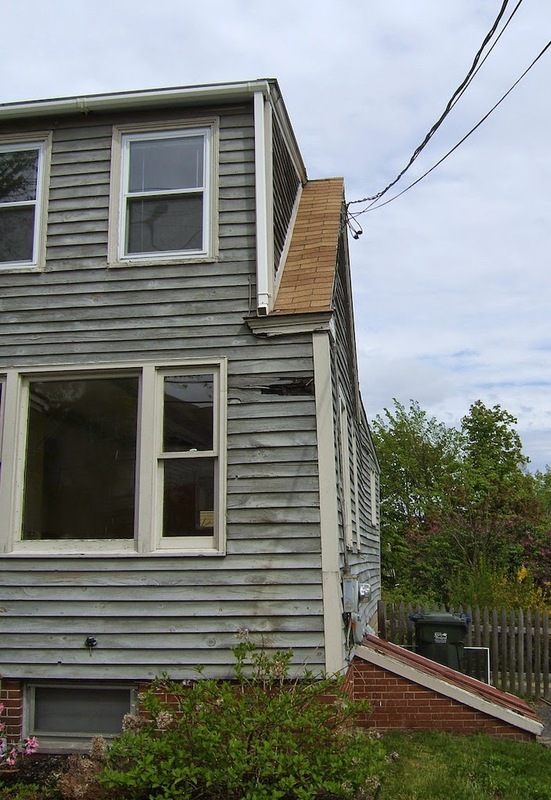 We've renovated many houses over the years and have never torn one down. We didn't want this to be the first time. But it wasn't easy. It wasn't exactly plumb and true - in fact it was obviously leaning in some areas. But we knew that could all be fixed. However, we had multiple builders come take a look and they all left shaking their head, with the advice to take it down. And we had to admit, it was in tough shape. 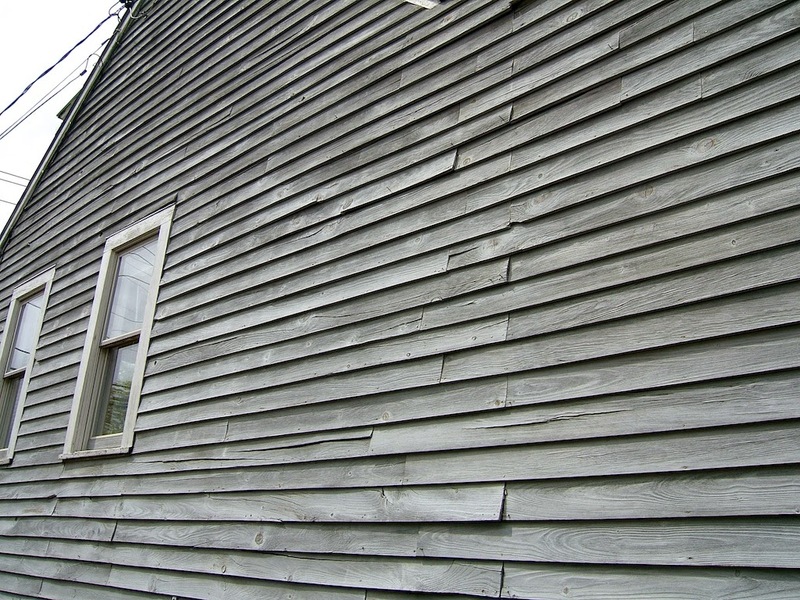 It hadn't been painted in many, many years and the siding had all shrunk and cracked, allowing water penetration, Remember photos I've posted about water and wood? That's not a good combination. The water will destroy the wood in short order. 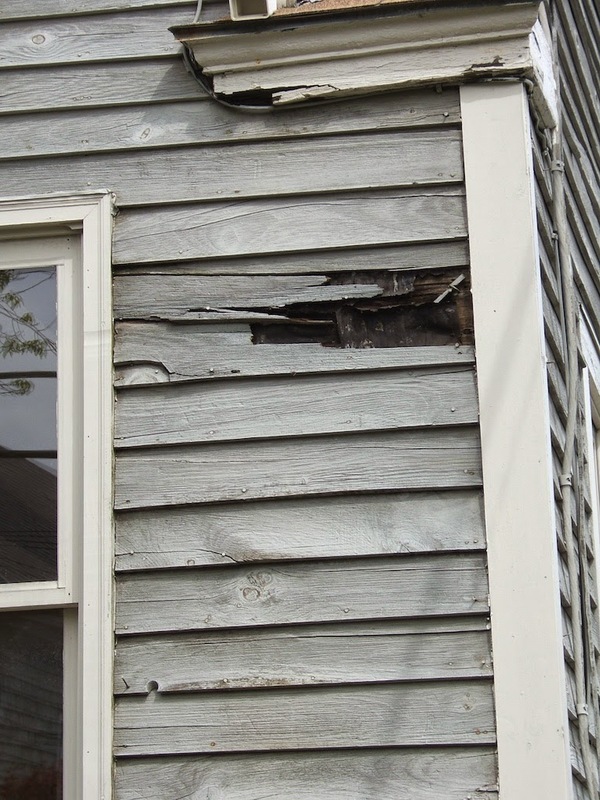 In some places, the siding had simply rotted away. In fact, when we had the place appraised for a home improvement loan (so we could pay for the renovations), Richard was frantically trying to put some of the pieces back up......but the best he could do was glue them in place, because the slimey wood wouldn't take a nail! 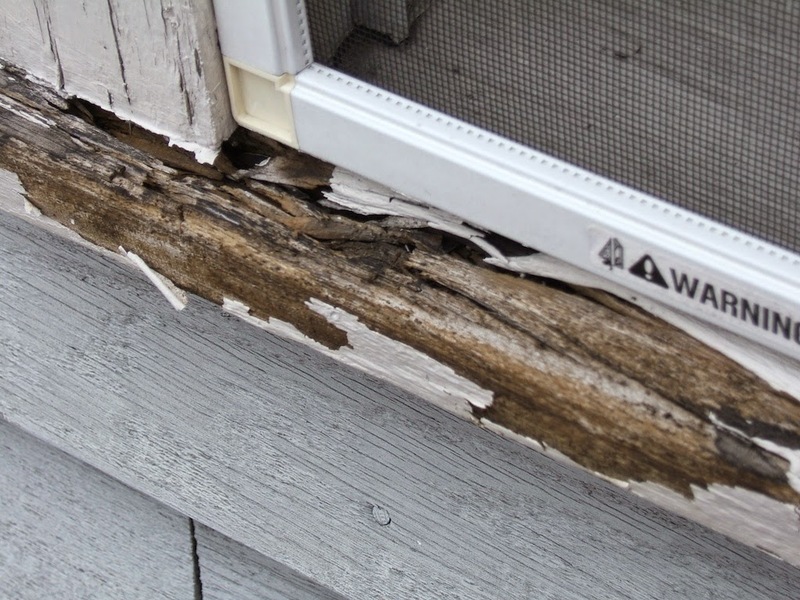 The window sills were rotted and that also allowed a lot of water penetration. 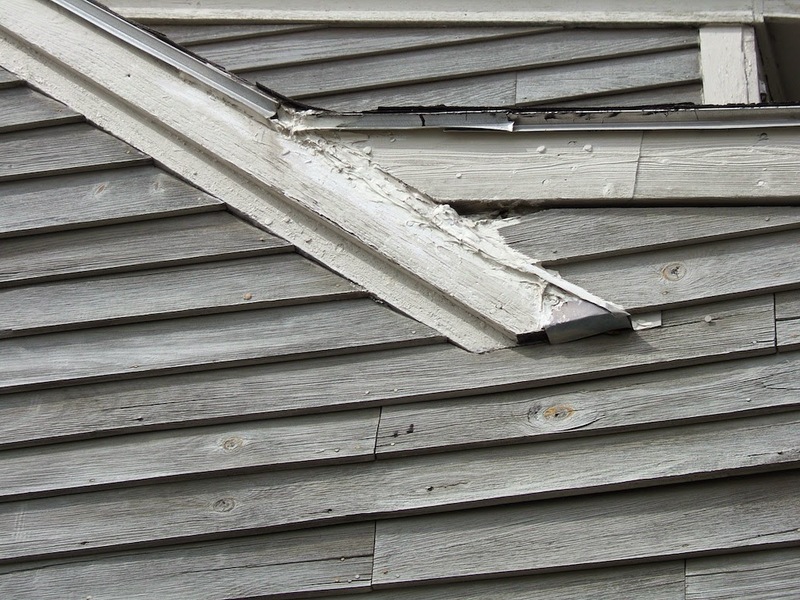 Leaks around the roofing trim had created the same issue - and caulk wasn't enough of a fix! There were big cracks and mystery chunks missing from the 'new' foundation under the kitchen addition. This place was in bad shape. But still we kept trying. After the first flurry of departing contractors, we called a builder that had done some work on our previous house and he agreed to give it a try. Hooray! He wanted to use a 'Design - Build' approach for the house. This means you sign a contract that says you'll work with the builder and the architect. The concept: it saves you money in the long run, because the builder and the architect are working together to come up with a build-able plan. All too often, the architect and builder end up arguing with each other throughout the project. So this was a logical approach. The only drawback? When the design is done, you can't take it to anyone else for a bid. You have to use that builder and that design. But that seemed like a risk worth taking. So we signed the contract and starting designing a major renovation. Fun......or so we thought! Want to see more? Like us on Facebook for regular updates. Or click here and start from the bottom to read all the blog posts. I am so excited!!! This is a great beginning to a tale filled with LOTS of challenges and solutions. Can't wait to read the next installment of "The Legend of Laurel (or How Richard Survived the Renovations of [Something Dramatic Beginning with 'R' Here])"!!! With creativity, time and dedication, this house can definitely be saved - and is sure to be well worth the effort. This so great - more, more!!! !